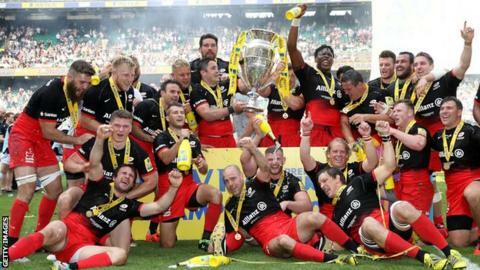 With the last season ending on a high, it should come as little wonder that the Saracens team would be looking to fortify their ranks and build on the advantage that they have gained over the last season. One of the ways they wish to do so is to get different players with unique skills on their team. Two names have surfaced – Sean Maitland and Vincent Koch. The team is hoping to take full advantage of the talents of these two players. Vincent Koch is a South African prop while Sean Maitland is a winger from Scotland. Koch, of 26 years of age, had won two caps when he represented the Springboks team. He would be joining from Stormers, the Super Rugby team. He would be joining the Saracens team after completing a two year deal with the Stormers. Maitland has agreed to stay on for long with the Saracens. Being 27 years of age, he would be playing at full back position as well. He has featured in many games for Scotland after debuting into the game in 2013. There have been several reasons put forward for choosing both these players for the team. Vincent has been identified because he can contribute to the team significantly as a tight head. He is being seen as someone who comes with high potential as per the director of rugby at Saracens. Sean on the other hand, has considerable experience. He has proven himself to be successful at playing three quarters at international games. He would definitely flourish in the top team of Saracens. The director feels that both players are being picked up as per the potentials they bring to the team. It is being anticipated that they will be able to contribute significantly to the team and will be able to become key players for the team.